Is Netflix's region-locking a losing battle? Is it a battle Netflix can win? Netflix yesterday announced it was about to get tough with the big bad proxy people and, in the next couple of weeks, it would be doing what practically no other service has been able to do: block VPN users. Because of the increasingly global nature of Netflix's video streaming service there are a huge number of licensing hoops the company has to jump through in order to get certain shows and movies playing in different countries. The internet may well be a global thing, but media is still very much a victim of border control. One company, say AMC or BBC, will own the license to play a show within their country's borders, with whom Netflix will have to negotiate but, in another where the show is syndicated by a different network, Netflix will have to re-negotiate for it to be played in that territory. It's basically an endless loop of deals. And if Netflix can't sort out the licenses, folks over the border won't be able to get access to that particular show because every country's Netflix catalogue can differ wildly. A good example of this is the upcoming launch of Star Wars Episode VII: The Force Awakens. It turns out the company that Disney has an existing deal with Netflix in Canada, making that territory the first to get the film later this year, while the rest of us - the US, UK and Australia - will have to wait up to a year to watch Rylo Ken...well, you know. The internet being the internet though, there is always a way around such geotagged roadblocks. And when you want to watch content outside of your country of residence, it's the use of virtual private networks (VPNs), or proxies, or unblockers. These hide your true location and look to fool content providers into thinking you're accessing a given site from a different country than you actually are. This can be done in numerous ways, but the one you'll see most often is by going to a proxy website, entering the country you'd like to switch to, and then heading over to Netflix to stream that country's library of TV shows and films. Switch to a US proxy from Australia, for example, and suddenly your small library of locally available content almost triples in size. And with the recent announcement of Netflix effectively going global, now serving subscribers in 190 different countries across the world, it's no wonder that David Fullagar, VP of Content Delivery Architecture at Netflix, took to its blog yesterday to announce a crackdown on proxy use. Because it has to be seen to be trying. The 130 new countries it's added to the Netflix streaming family have a whole lot of licensors who need to be reassured they're getting paid the right amount for the content they own. "We do take the standard industry precautions of blocking known VPN sites," Neil Hunt, Netflix's Chief Product Officer, told me late last year. "But of course it's a bit of a whack-a-mole game and they move around all the time and it's pretty hard to deal with." Mark James, Security Specialist at ESET, echoed that statement directly in response to Netflix's recent announcement. "It's often a cat and mouse game," he says, "the end user gains access through a means they should not be able to, the supplier plugs that hole or finds a way to detect it, someone provides an alternative, end user uses that alternative." "...it's a bit of a whack-a-mole game..."
"Anyone using these methods currently will most likely suffer a momentary loss while they find a new means to circumvent the new security measures but it's likely a way will be found." So Netflix is using the industry standard methods of blocking unlicensed access through proxies, but that's certainly not going to stop it happening. Companies like Hulu will likely be using exactly the same methods and yet I bet you can still go home tonight and VPN all the South Park episodes you can shove into your eyeballs if you really try. Fullagar's blog post though did suggest that Netflix might be going further as it evolves it's approach to proxies, suggesting that things are going to change in the coming weeks to put a halt to such activities. But what can Netflix reasonably do? If it chooses to lock your account specifically to the country it was created in what happens when you travel abroad? Are you completely locked out because it thinks you're trying to use a proxy? Netflix said today that when you travel abroad you will then get access to the catalogue of the country you're currently in, not from where the account was created or is being paid for. Which is kind of how the proxies work, telling Netflix's servers that they're being accessed from within a given territory. Widespread use of VPNs are largely restricted to the browser version of the streaming service, not the mobile apps and definitely not the connected TV systems. Which means there's actually not that many people really doing it. "I think it's hyped by people who perceive it as a big issue." "The amount of VPNing that goes on I think is somewhat overblown," explained Neil Hunt last year. "I think it's hyped by people who perceive it as a big issue." "If you VPN from the UK into the US the media itself has to come from the US too. That means it's not travelling the last mile on your broadband connection from our local server, it's travelling from a server in Virginia or in Seattle or wherever it is. It's travelling a really long distance on a pipe subject to congestion." "My guess is that there isn't capacity for a vast amount of VPNing to be going on," Hunt continued. "The rumours about the amount of VPNing going on in Australia where very high, but the capacity of pipes between Australia and the US mainland are just not that big, so it couldn't have been that big." So for Netflix to really be spending big money, or a lot of time, on cutting down the amount of VPN or proxy traffic that goes on seems a stretch. What's the solution? It's best bet, to stop its licensors worrying about potential earnings it might be missing out on, is surely to just make a big noise about how it really is trying to cut it down and get lots of media outlets regurgitating the announcements verbatim. Which seems the more likely course for it to take given its previous assertions that VPNing represents a minuscule proportion of its viewership? In the end Netflix is probably not going to be able to completely wipe out proxy use. In the end Netflix is probably not going to be able to completely wipe out proxy use. If a paying account user wants to find a way to circumvent the geofenced content they're likely to be able to relatively quickly, and probably quite easily as new ways pop up as others are culled. And if it does, and was vastly downplaying the number of VPN-ers, then there's going to be a whole lot of people turning back to piracy for their content fix meaning those people end their Netflix subs and return to torrenting. 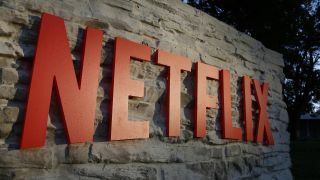 Taking Australia as an example again, independent reports stated that the introduction of Netflix to Oz had cut the levels of piracy down by over a quarter. Nobody in the industry, especially not those license holders Netflix is seeking to reassure, wants anything to happen to make that trend to go back the other way again. The real goal for Netflix, though, and one that both Fullagar mentioned in his post and Hunt explained to me last year, is for all content to be available to all catalogues. "Obviously we're not going to do that by taking away content in the US," said Hunt. "But our goal is to make sure the new content we add, as far as we can, we license that for all the countries we're in. And then, over time, we should see the need to VPN diminish." So VPN or proxy use for Netflix then is going away. But not because of blocking, but the inevitable, eventual opening of the virtual content borders. The best shows on Netflix right now.